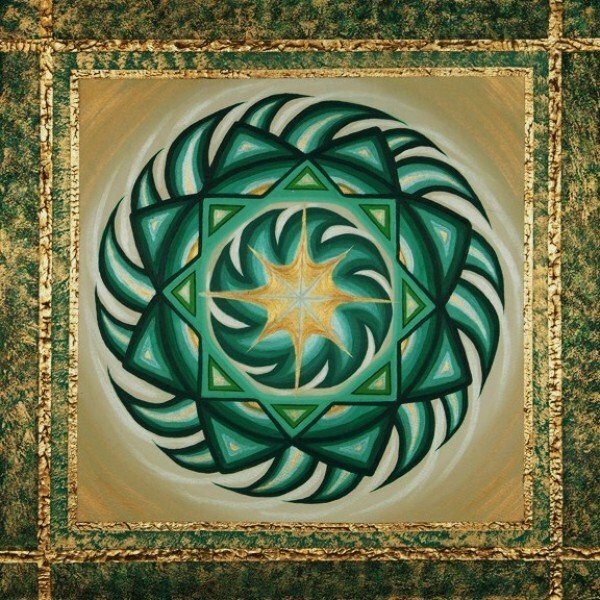 Large Prosperity | Artwork – Store – Tammi B. Ph.D.
Hand painted mandala, 36" x 36", acrylic and mixed medium. Created with the intention to manifest greater prosperity. As soon as I asked for a healing image to attract more money, a beautiful green and gold image started swirling in my minds eye. As soon as painted it someone bought it. I have since made several more in different sizes. I use this image on candles, journals and on the cover of my book "Manifesting Prosperity From the Inside Out." I can recreate this image in any size you would like, from 12" x 12" to 48" by 48." Contact me for pricing.